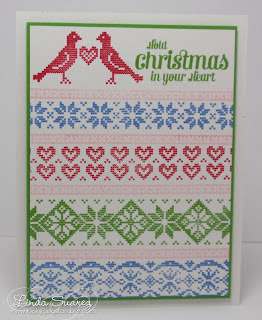 I am participating in the Waltzingmouse Christmas Card challenge every month to build up my stash of Christmas cards throughout the year. I've been doing great so far! Today I have my Christmas in April card. 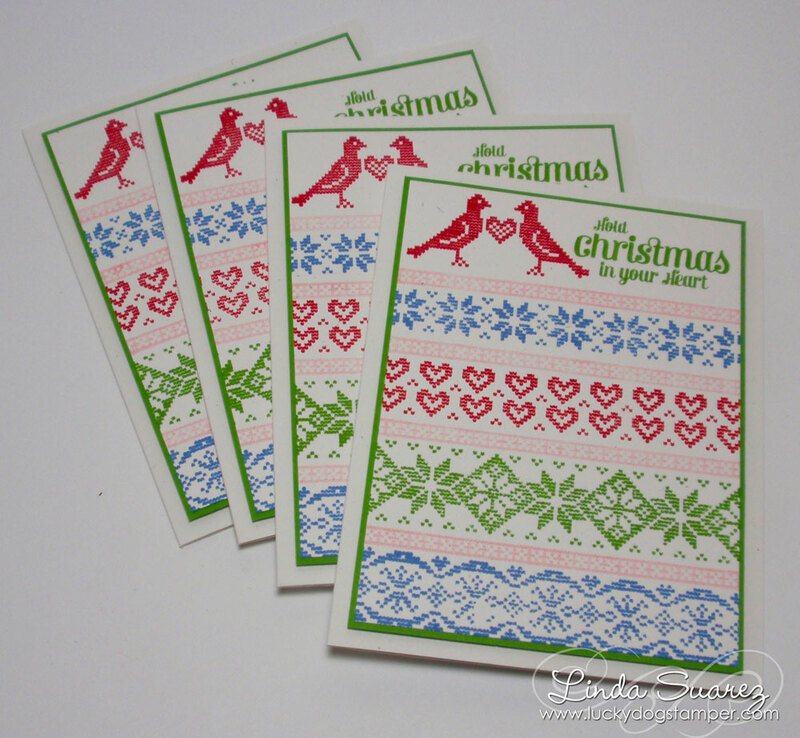 The theme for the card this month is to create a Christmas card with a bird or tree. 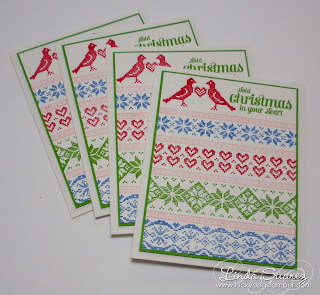 I used the birds in the Waltzingmouse Nordic Spring stamp set and mixed it up with the Nordic Winter and Compact Sentiments stamp sets. I really like how it turned out. I made 4 cards and added them to my growing stash! This is super sweet Linda, I really like the Nordic design! 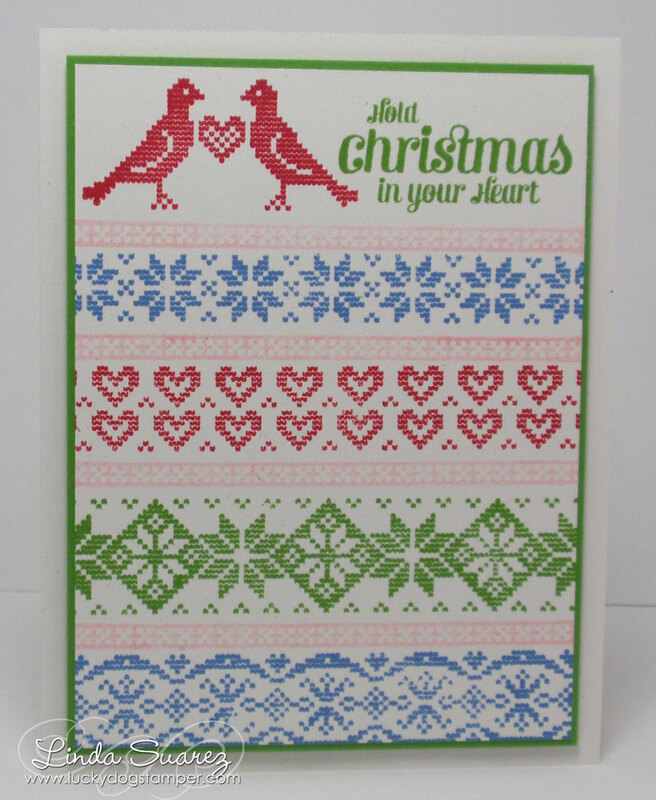 Yes, I am trying to get a ahead start on my cards too! Can't believe how many I have already!! Have a great day! they really do look so beautiful together! And such a perfect (mailable) card! !